We used creative photography and video content to help Nightjar and Oriole become leading bar brands on social media. Nightjar is brilliant at what it does best - serving creative cocktails with a touch of old-school glamour. When we started working with the Nightjar team in 2014, they had just picked up the incredible accolade of third best bar in the world. They now needed everyone to know about it. We were also asked to support the launch of a new bar - Oriole - from the Nightjar team. We created a social media-focused strategy that would transform Nightjar from a bar known only to cocktail connoisseurs, into a leading bar brand to be reckoned with. The bedrock of the strategy was great photography - every new Nightjar menu gave us the the opportunity to create buzz and excitement. We produced images that captured the beauty and creativity of Nightjar’s cocktails, helping them stand out in a crowded marketplace. Very few venues have great cocktail imagery; Nightjar had stunning images for each and every one of their long and varied menu list. 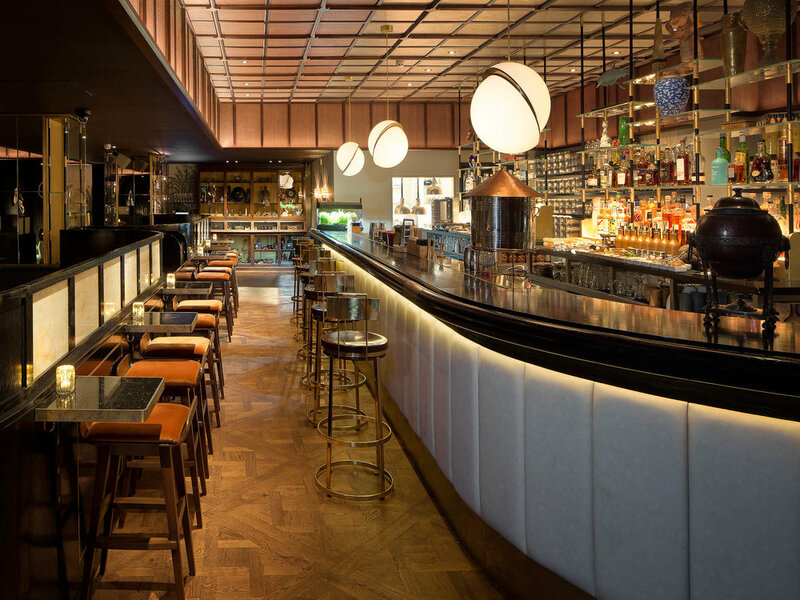 Our success with Nightjar led to the team requesting our help with the launch of its new bar, Oriole. The strategy for the launch of Oriole centered around creative social video content, with each production building on buzz from the last. Through from teaser content to big reveals, each video gathered more and more momentum. We used a small media budget to strategically place content in front of the most relevant audiences, helping grow our reach and fanbase quickly. We used the tools available on leading social platforms to target both geographically and based on interests. We tested and learned, adapting different creative formats and campaign objectives based on feedback from consumers. We also helped Nightjar empower its best ambassadors - its staff. We trained the team in how to capture stylish images that reflected the brand so they could maintain the quality of content in the long-term without our help. Four years on, Nightjar is one of the world’s most popular and engaged bars on social media. With almost 90k followers on Instagram, it has maintained its premium profile, which in turn has helped it stay front of mind for cocktail lovers and casual drinkers alike. Our launch campaign for Oriole was also hugely successful, culminating in a final video for its 2018 menu which was viewed more than 800,000 times on Facebook alone, without any media spend. It also generated huge organic conversation and recommendations on cocktail forums. Now, two years on, Oriole has 47K followers on Instagram and continues to be a leading brand in the bar and cocktail space. 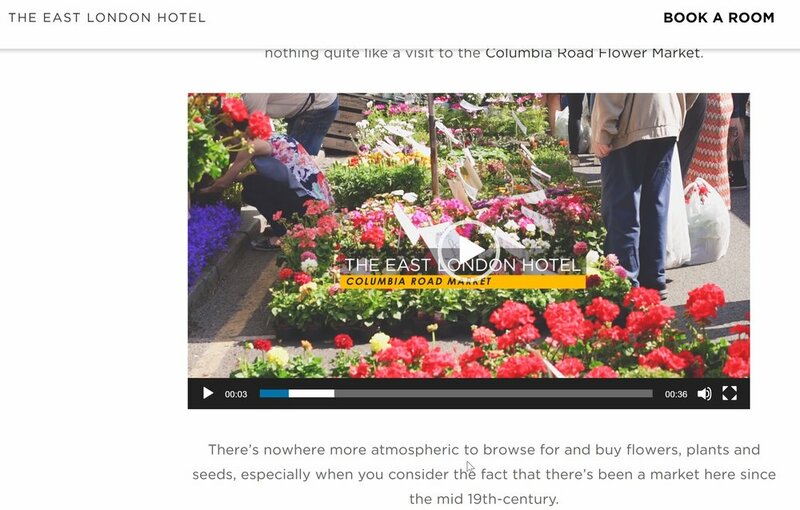 We helped boost The East London Hotel’s traffic and sales with a strategic SEO campaign that played into search engine algorithms. There are thousands of hotels in London across all price points. Search is a major factor in consumer decision making - we had to help The East London Hotel dominate the extremely competitive SEO scene. We used a full range of SEO tactics, including website and copy optimisation; owning nearby activities with in-depth guides and video content; long-tail keyword strategies; blogger outreach and online PR; backlink creation - all aiming to boost their hotel business presence. Since its launch in October, the hotel already ranks first for ‘East London Hotel’ and in the top 50 hotels for the most competitive keyword in London - “hotels in London”, beating competitors with a much bigger media spend. Organic search accounts for half of the traffic and the majority of the direct sales. In a two-weeks shoot we created for Yotel a bank of quality assets, allowing it to plan all its content in advance, year-round. Yotel wanted a consistent pipeline of quality content, that would help it build its presence across all marketing channels. For the last three years, we’ve worked with the Brand to provide content it can use throughout the year, with a focus on video. We developed a content strategy featuring a mixture of bite-sized and long-form hero videos that could be used for campaigns year-round, with both evergreen and seasonal pieces. We made sure that content always reflected the brand look and feel. Yotel now has all the assets it needs to plan all its content in advance, year-round, with a combination of posts to boost and dedicated social ads to promote all year round.